The Native American Graves Protection and Repatriation Act ("NAGPRA") is a federal law that deals with situations when human remains and funerary objects are unearthed on federal or tribal lands. However, when human remains and funerary objects are found on private or state-owned land, state laws govern. Such laws vary widely from state-to-state, and thus there is no clear protocol for how to deal with such discoveries. The WCL State Burial Laws Project seeks to assist the public by providing a centralized source for researching various state laws dealing with burials. Although there may also be regulations and municipal or county laws relevant to these issues, this project currently focuses on locating and summarizing relevant state legislation. This website is a collection of work from the WCL State Burial Laws Project. WCL Students have compiled research addressing myriad questions ranging from how respective states deal with issues of Native American human remains and burial objects, to how states punish individuals convicted of theft, destruction of property, and hate crimes, to how states recognize minority groups. Students summarized relevant state statutes so that answers to these vital questions would be accessible to those employed in the legal field as well as individuals without a legal background. Visitors to our website may search for answers to specific questions within an identified state, or may view generally how states deal with these issues differently. We have partnered with Westlaw to ensure that, as much as possible, our data remains current as these statutes are updated by respective state legislatures. The State Burial Laws Project began at the National NAGPRA Program Office at the National Park Service, Department of the Interior. The NAGPRA office regularly receives phone inquiries regarding the accidental and purposeful, licit and illicit, discovery, excavation, removal or collection of Native American human remains on state-owned or privately-owned lands. As a result of these numerous inquiries, the NAGPRA Office recognized the need for a comprehensive resource regarding state laws affecting burial sites, including the human remains and objects interred within those burials. 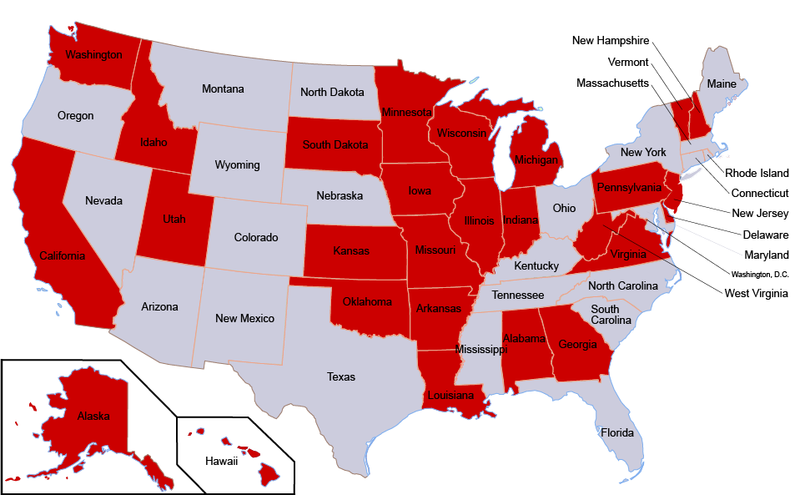 In 2008, the NAGPRA Program Office partnered with the American University Washington College of Law to create the State Burial Laws Project, where law student interns created questions to guide their state-by-state inquiries, conducted statutory research within 50 states and the District of Columbia, and summarized their findings in short, relevant annotations. This website is the product of their efforts. All information on this website is provided for educational, informational and referential purposes only. The contents of this website are meant to serve as a guide and do not constitute legal advice. Every effort has been made to make the contents complete, accurate, and up-to-date. However, there may be both typographical errors and mistakes in content. The information contained in the website includes laws from 50 states and the District of Columbia. States and DC update their official laws at different times, and at different intervals. Always check the official published state legislation. If you think that you may be involved with a violation of the laws contained on the website, consult your attorney for specific legal advice.